Rejuvelac is a general term for a fermented liquid used to improve digestion of food. Rejuvelac is prepared using wheat grains, rye, oats, barley and other types of grain, but cabbage can also be used. Best results have been found using wheat, rye, and cabbage. Rejuvelac can be consumed as a digestive aid and used as a ‘starter’ for other fermented foods such as raw nut and seed sauces and cheeses. Rejuvelac supply needed B vitamins, vitamins E and K, and a variety of enzymes to the body. The live lacto-bacteria assists in protecting the body from harmful microorganisms, viruses, bad bacteria, yeast, and parasites that thrive in an unhealthy gut environment and begin the onset of disease. Rejuvelac is a raw food made by sprouting grain or cabbage and then soaking the sprouted grain or blended cabbage mix in water for about two days at room temperature and then drinking the liquid. 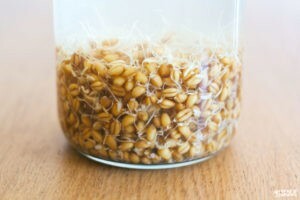 A second batch can be made from the same sprouts or cabbage, this time requiring only about one day. A third batch is possible but the flavor may be unpleasant. They restore proper balance of good bacteria (probiotics) in the gut and can be effective in aiding recovery from numerous conditions linked with levels of good bacteria including: lactose intolerance, asthma, allergies, yeast infections, constipation, and irritable bowel syndrome. Consuming Rejuvelac increases the number of antibodies that fight infectious diseases, thus boosting the immune system. They are rich in enzymes which assist the body in digesting food and properly absorbing the nutrition from the foods we consume. Rejuvelac increases the vitamin content and promotes creation of additional nutrients such as omega-3 fatty acids. The higher concentration of antioxidants allow some fermented foods remove free radicals in the body. Probiotics (good bacteria) live in our intestines, especially our colons and do greatly to keep us healthy. They have antibiotic, antiviral, antifungal and anticancer effects, they are involved in vitamin and nutrient synthesis, and also aid in digestion. When we do not have enough Probiotics, the harmful bacteria, yeast and parasites in our intestines take over and produce disease. There are over 400 different known species of bacteria that inhabit the normal bowel, excluding viruses, yeasts, and parasites. 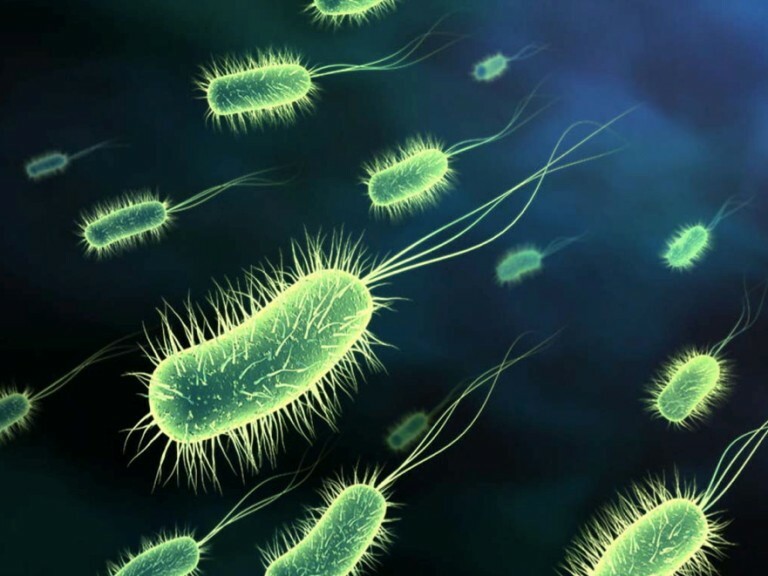 To put it another way, there are 20 times more bacteria in the body than there are cells AND more than the total number of people that ever lived on Earth. Therefore, having the right kind of bacteria in the gut is very important since the intestinal tract is home to some 100 trillion microorganisms, but only a few of them are friendly. Probiotics have become an important part of nutrition because our microbial populations have been altered by the use of antibiotics and other substances that are designed to kill germs and disease. While practices, such as antibiotics, are effective at killing germs and disease, they are also effective in killing your beneficial bacteria. By introducing friendly microbes to your gut flora you can strengthen your resident micro flora. The 1908 Nobel Prize Winner, Ellie Metchnikoff showed that phagocytes destroy harmful bacteria in our bodies. The study of beneficial bacteria lead the Russian microbiologist to start drinking fermented milk and yogurt. Metchnikoff experienced improved health and well-being. Metchnikoff studied the phenomenon of an incredible amount of people in Bulgaria living to be over 100 years old. He attributed their health and longevity to a microbe in the widely eaten Bulgarian yogurt, and he named the yogurt culturing microbe after the Bulgarians – Lactobacillus Bulgaricus. The use of live microorganisms in the diet has a long history and is one of the oldest methods for producing and preserving food. Soured milks and such cultured dairy products as kefir, koumiss, leben, and dahi were often used therapeutically before the existence of microorganisms was recognized. Such dairy products are mentioned in the Bible and the sacred books of Hinduism. Diarrhea associated with antibiotics: Lactobacillus (rhamnosus, acidophilus, bulgaricus), Saccharomyces boulardii, Bifidobacterium longum, and Enterococcus faecium. An independent testing lab found that eight out of 25 probiotic supplements tested contained less than 1% of either the number of live bacteria claimed on the label or the expected minimum of 1 billion. Health food store probiotic supplements provides only one or a few species of these good bacteria (most commonly Lactobacillus acidophilus, or a Bifidobacterium species), but there are over 400 different species of friendly bacteria and each of them has a definite job or function to do in our system. We need ALL of these species, not just a few! The best way to get them is through natural products. The most common fermented foods are kefir, yogurt, kombucha, miso, rejuvelac and kim chi. Much of the world depends upon various fermented foods as dietary staples. Generate a healthy balance between good bacteria and other bacteria, ensuring that bad bacteria do not outnumber the good ones. A sturdy immune system capable of adjusting to ever-changing situations is a key factor in preventing the manifestation of any sickness. One important aspect of immune function is its ability to self-regulate so it doesn`t become hyperactive and attack your own tissues, as in the case with Rheumatoid arthritis. Rheumatoid arthritis (RA) is an autoimmune disease that causes chronic inflammation of the joints. Autoimmune diseases are illnesses that occur when the body’s tissues are mistakenly attacked by their own immune system. RA can cause inflammation of the tissue around the joints, as well as in other organs in the body. Researchers have identified that water-soluble polysaccharides are the most active element found in Red Lingzhi that have anti-tumour, immune modulating and blood pressure lowering effects with proven capacity to deliver relief and even assist in reversing the condition of RA. RA’s hyper-inflammatory response can lead to the destruction of cartilage and the loss of mobility. Symptoms of RA can include swollen and stiff joints, accompanied by considerable pain and loss of function. It is three times more common in women than men, with the first onset of symptoms usually occurring between the ages of 40 and 60. RA is usually treated by contemporary medicine with cortisone-like steroids that suppress the immune system. Even in low dosages, these drugs can cause osteoporosis, cardiovascular disease, weight gain, or high blood sugar. Most importantly, this unnatural and dangerous approach to artificially suppressing the immune system can leave you susceptible to other infections. 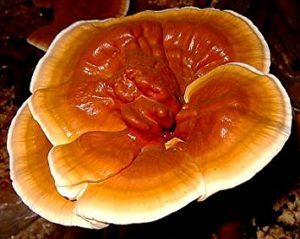 Lingzhi mushroom , also known as Ganoderma lucidum, is one of the oldest known herbal medicines in traditional Chinese medicine (TCM). It is native to China, Japan, and North America and has been used for thousands of years, and is revered for its longevity-promoting capabilities. Lingzhi influences cells that regulate the immune system – namely, lymphatic cells and interferon alpha and interferon beta cells and has the ability to “educate” these cells of immunity so that they better respond to the body`s needs. In other words, with the help of Lingzhi, if cells of the immune system are not responsive enough, they will be called to action, or if they are hyperactive such as in the case of an autoimmune disorder such as RA, they will back down. Lingzhi capsules or a Lingzhi tea that you consume today may have been one hundred years or more in the making. First, a tree grows and lives for decades, absorbing energy and nutrients from the sun and the soil. Then, when the tree begins to die, mushrooms will attach to the tree, absorb the life force and further concentrate the nutritional content and medicinal qualities that the tree has acquired throughout its life. Active ingredients are triterpenes, called ganoderic acids. 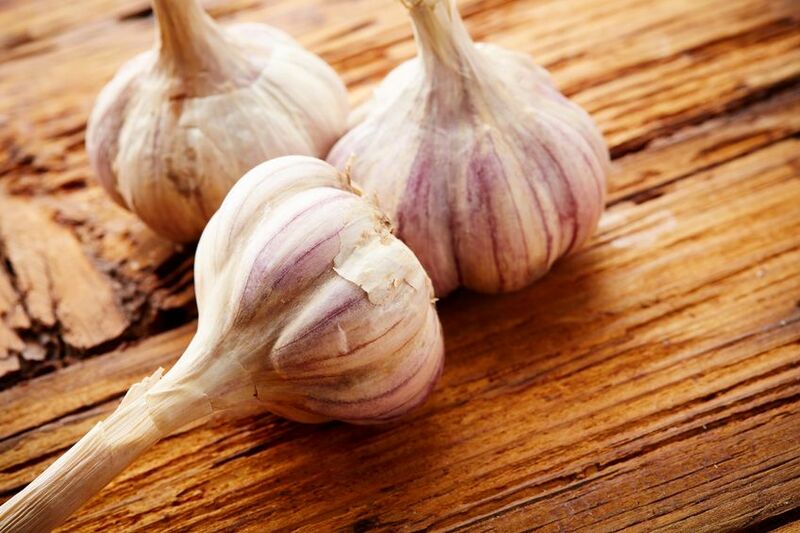 Studies have indicated that ganoderic acids help alleviate common allergies by inhibiting histamine release, improve oxygen utilization and improve liver functions. According to classical Chinese literature, Lingzhi is classified as a superior herb. Superior herbs are said to be non-toxic and can be consumed in large quantities and for a long period without any side effects. After 2,000 years, there are still no side effects reported in available literature and clinical studies. However, sensitive individuals may experience some detoxification symptoms such as mild digestive upset, dizziness, sore bones, and skin rashes during the initial period of intake. This is the excretion of accumulated toxic matters from modern day foods and vigorous activities of the body metabolism. These are all normal signs of recovery and an indication that the medicinal effect of Lingzhi is functioning well. Taking a source of Vitamin C with Lingzhi can help reduce any side effects which may occur upon the initial intake of the herb. Lingzhi is a natural health supplement and there are no reported contraindications in over 2,000 years of study. However, all immune-modulating substances such as Lingzhi should be taken with care for patients undergoing organ transplants and using immunosuppressive drugs. It is always a good idea to consult a qualified health physician (preferably someone with experience in complementary health care) before consuming any dietary supplement. Result varies from individual to individual. Normally one can notice the benefits from taking high quality Lingzhi after about 10 days to two weeks. One can experience a significant difference with their overall well-being after taking Lingzhi continuously for two months. Lingzhi is best taken in the morning with an empty stomach. Drinking more water will also help enhance the effects of Lingzhi by helping the body get rid of poisonous waste. It is also recommended to take Vitamin C with Lingzhi as this will assist the body in absorbing the active ingredients in Lingzhi. Studies have shown that Vitamin C helps break down the complex polysaccarides into smaller manageable pieces for the body to absorb. However, once again it is recommended to consult a qualified health physician just to be safe when taking any dietary supplement. Kombucha Tea is a popular health promoting beverage and natural folk remedy. 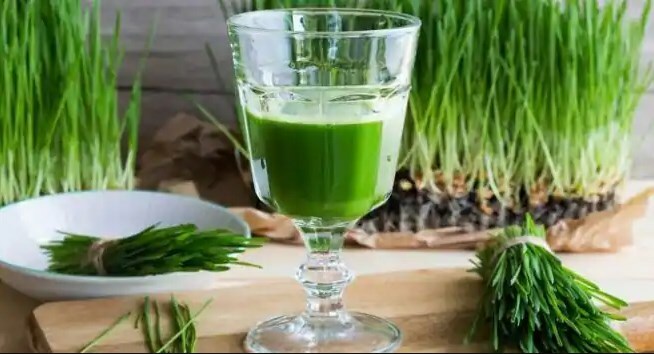 The ancient Chinese called it the “Immortal Health Elixir” It’s been around for more than 2,000 years and has a rich anecdotal history of preventing and fighting cancer, arthritis, and other degenerative diseases. It has been noted to be originated in Asia during the Chinese Tsin dynasty in 212BC. Spiritual Zen Masters regarded Kombucha as a source of chi – a revitalizing life energy that aligns and harmonises the body and mind with the soul. The Japanese Samurai warriors often carried Kombucha tea in their hip flasks to replenish their energy levels during battle. With the extension of trade routes, it spread to India and Russia through travelers and traders. Kombucha resurfaced in Japan between the Wars after a Japanese visitor to Kargasok (Russia) found this fermented tea drink responsible for their astonishing health, longevity and well-being. It may have been introduced to Japan by a Korean physician by the name of Kombu around 415 AD. Today the tea once routinely used by Samurai is widely used again in Japan. Kombucha is SCOBY: Symbiotic Culture OF Bacteria and Yeast. It metabolises tea by the Kombucha culture which is a continuously reproducing, symbiotic colony of friendly bacteria and fission yeasts which are free of the spores some people, particularly women, are allergic to, and which can help alleviate rather than aggravate conditions like candida. Over the course of several days, a chemical reaction similar to how yeast reacts with complex sugars during the brewing of beer – the Kombucha culture digests most of the sugar, breaking it down and converting it into a potent force of organic probiotic acids, enzymes, minerals and vitamins C, B1, B2, B3, B6, B12 and B15. Kombucha appeared in Germany about the turn of the century from Russia. Extensive scientific research was done on Kombucha in Russia and Germany, mostly because of a push to find a cure for rising cancer rates. Russian scientists discovered that entire regions of their vast country were seemingly immune to cancer and hypothesized that the kombucha, called “tea kvass” there, was the cause. 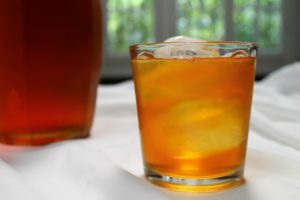 So, they began a series of experiments which not only verified the hypothesis, but began to pinpoint exactly what it is within kombucha which was so beneficial. German scientists picked up on this research and continued it in their own direction. Then, with the onset of the Cold War, research and development started being diverted into other fields. It was only in the 1990s, when Kombucha first came to the U.S. that the West has done any studies on the effects of Kombucha, and those are quite few in number. As is typically the case in the U.S., no major medical studies are being done on Kombucha because no one in the drug industry stands to profit from researching a beverage that the average consumer can make for as little as 50 cents a gallon. Due to its rising commercial popularity in the last decade, the older Russian and German research has been made available in English to Westerners, and a few wide-spread anecdotal surveys have been sponsored by Kombucha manufacturers, but that’s about it. While there are limited amounts of research done on the beverage, there has been lots of research done on many of the nutrients and acids it contains in large quantities (such as B-vitamins, antioxidants, and glucaric acids). particularly B1, B2, B6 and B12, that provide the body with energy, help to process fats and proteins, and which are vital for the normal functioning of the nervous system. which is a potent detoxifier, immune booster and enhancer of vitality. which is essential for healthy digestive action (through its derivative lactobacilli) and for energy production by the liver, and is not found in the tissues of people with cancer. which is an antiseptic and inhibitor of pathogenic bacteria. normally produced by a healthy liver, is a powerful detoxifier and can readily be converted into glucosamines, the foundations of our skeletal system. As a detoxifying agent, it has come into its own today in our highly polluted world. It is one of the few agents that can cope with the pollutive products of the petroleum industry, including all the plastics, herbicides, pesticides and resins. It ‘kidnaps’ the phenols in the liver which are then eliminated easily by the kidneys. has selective antibiotic qualities which can partly deactivate viruses. encourages the intercellular production of energy, and is a preservative. also helps the liver to detoxify. which is produced by the bacteria, strengthens the walls of the gut in order to combat yeast infections such as Candida. like RNA and DNA transmit information to the cells on how to perform correctly and regenerate. Glucosamines the byproduct of glucuronic acid. The structures are associated with cartilage, collagen and the fluids which lubricate the joints. Collagen reduces wrinkles, while arthritis sufferers have their deficient cartilage and joint fluids replenished. which are constituents of proteins, produce important enzymes, such as glutathione a powerful antioxidant which provides protection from alcohol and pollution, and which is depleted by drug regimes. Eliminates or reduces heat rash. Reduces / stabilizes blood pressure. A typical western diet consumes approximately a kg of sugar per week. 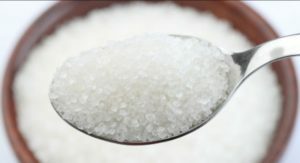 An excess of white sugar consumption has been linked with type 2 diabetes, dental decay, obesity, cancer, heart disease, and hyperactive behavior. From bottled sauces and soft drinks to baked goods and cereals, white sugar is in a numerous of commonly eaten food products and is one of the great health killers of our time. The problem does not lie in eating foods that are naturally sweetened. The real health concern lies with eating too many processed sugary products. This is the simplest form of sugar, glucose is quickly absorbed into the bloodstream. The body will break down all forms of carbohydrates into glucose for its primary source of fuel. A scale that is used to measure the speed of entry of glucose into the bloodstream is called the glycemic index (GI). Foods such as vegetables, fruits, beans, and whole grains tend to have a lower GI rating and therefore do not cause weight gain or blood sugar and energy fluctuations. Foods that are rated high on the glycemic index include soft drinks, candy, biscuits, cakes, sweetened cereals, and white processed goods. Glucose is often referred to as dextrose. The primary sugar found in fruits and vegetables, fructose is absorbed more slowly in the bloodstream than glucose and is a healthier sweetener. This is also known as table sugar, or white sugar, sucrose comprises one glucose molecule and one fructose molecule. Sucrose is typically made by refining sugar beets or sugar cane. The primary sugar found in milk, lactose comprises one glucose molecule and one galactose molecule. In order to be properly broken down, lactose requires the enzyme lactase. People who are lactose intolerant do not produce enough lactase in their intestine. This very popular sweetener is derived from corn and is used in many beverages and processed foods. Although this sweetener helps to extend the shelf life of certain products, research has linked the consumption of HFCS with the surge of type 2 diabetes and obesity in North America. A high GI rating means that blood-glucose levels are increased quickly, which stimulates the pancreas to secrete insulin to drop blood-sugar levels. These rapid fluctuations of blood-sugar levels place a great deal of stress on the body. As sugar raises the insulin level, it inhibits the release of growth hormones, which in turn depresses the immune system. Therefore it would be much more difficult to avoid disease. Insulin also promotes the storage of fat, so that when you eat foods high in sugar, you’re making way for rapid weight gain and elevated triglyceride levels, both of which have been linked to cardiovascular disease. Complex carbohydrates (low GI) tend to be absorbed more slowly, lessening the impact on blood-sugar levels. We have known this for decades. In the 1970’s, researchers found out that vitamin C was needed by white blood cells so that they could phagocytize (engulf) viruses and bacteria. White blood cells require a 50 times higher concentration inside the cell as outside so they have to accumulate vitamin C. There is something called a “phagocytic index” which tells you how fast a particular macrophage or lymphocyte can gobble up a virus, bacteria, or even cancer cell. It was in the 1970’s that Linus Pauling realized that white blood cells need a high dose of vitamin C and that is when he came up with his theory that you need high doses of vitamin C to combat the common cold. Glucose and vitamin C have similar chemical structures, consequently, they compete for one another upon entering the cells. Therefore, what mediates the entry of glucose into the cells is the same thing that mediates the entry of vitamin C into the cells. If there is more glucose around, there is going to be less vitamin C allowed into the cell. It doesn’t take much: a blood sugar value of 120 reduces the phagocytic index by 75%. So when you eat sugar, think of your immune system slowing down to a crawl. There are millions of cancer patients being treated in developed countries today. Almost none are offered any scientifically guided nutrition therapy other than being told to “just eat good foods.” Many cancer patients would have a major improvement in their conditions if they controlled the supply of cancer’s preferred fuel: GLUCOSE. By slowing the cancer’s growth, patients make it possible for their immune systems to catch up to the disease. Controlling one’s blood-glucose levels through diet, exercise, supplements, meditation and prescription drugs, when guided can be one of the most crucial components to a cancer treatment program. The saying “Sugar feeds cancer” is simple. The explanation is a little more involved. Hence, cancer therapies should attempt to regulate blood-glucose levels through diet, supplements, exercise, medication when guided properly, gradual weight loss, stress reduction and meditation. Since cancer cells derive most of their energy from anaerobic glycolysis, the goal is not to eliminate sugars or carbohydrates entirely from the diet but rather to control blood-glucose within a narrow range to help starve the cancer cells and boost immune function. Don’t be fooled by the words brown sugar. Often brown sugar is simply white sugar with a small amount of blackstrap molasses added. Eat the fruit, drink the water. In order to avoid added white sugar, avoid fruit juices and stick to high-fibre fruits such as apples, oranges, and grapefruits. Drink water instead of fruit juice. Become a wise label reader. Sugar likes to hide in many grocery store products by using other names in the ingredient list such as sucrose, glucose, fructose, dextrose, lactose, maltose, and corn syrup(HFCS). If any of these ingredients are listed in the first three to four words of the list, you can count on a high sugar content. Break sugar cravings. Use natural spices or teas such as cinnamon or vanilla. When baking, use natural sweeteners. You can also use fruits such as mashed bananas, plums, raisins, applesauce, pears, peaches, apricots, or cranberries for a natural burst of sweetness. (1) Warburg O. On the origin of cancer cells. Science 1956 Feb;123:309-14. (2) Volk T, et al. pH in human tumor xenografts: effect of intravenous administration of glucose. Br J Cancer 1993 Sep;68(3):492-500. Fruit juicing is certainly good for you, but it has one disadvantage over vegetable juicing, as fruit juice tends to increase insulin levels when consumed. Vegetable juice does not raise insulin levels like fruit juice. The only exception to this would be carrot or beet juice, which function similarly to fruit juice. Nevertheless, fruit juicing is certainly better for you and your children than drinking soda. 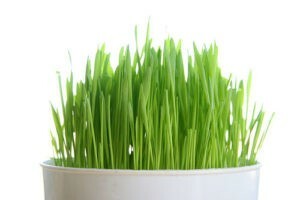 Enzymes from raw fruits and vegetables are required for proper food metabolism and strengthening of the immune system. Unfortunately, these enzymes are destroyed when they are heated above 50°C. Nowadays nutrition scientists unanimously agree that more than one half of our food calories should come from raw vegetables, fresh fruit, raw or sprouted seeds; unpasteurized raw milk products, like raw-milk cheese and yogurt; as well as other fermented foods such as kombucha and miso. Read related article for kombucha. The study researchers believe that antioxidant chemicals known as polyphenols, found in high concentrations in the skin and peel of fruits and veggies, may be responsible for the brain-protective effect offered by fruit and vegetable juices. Polyphenols help mop up harmful free radicals in the body. In earlier studies, polyphenols were shown to have numerous health benefits, among them a reduction in the risk of cardiovascular disease and cancer. Fruits and vegetables are loaded with nutritional substances, vitamins, minerals, trace elements, bioflavonoids, chlorophyll and pigments. The red pigment in red beets is proven to be extremely beneficial in the treatment of cancer. The yellow pigment, especially abundant in wild herbs, has two important tasks: it regulates the permeability of cell membranes and assists in the process of mineral transmutation for example, by changing silica into a mineral that the body lacks, like iron or calcium. Many different nutrients that are contained in a plant’s juices are “locked up” in its cellulose fibres. In order to benefit from these nutrients the body must break down the fibrous cells. This is a major chore for some digestive systems, particularly for the elderly, whose problems may be further complicated by faulty teeth or dentures which make the proper chewing of fibrous foods more difficult. We all have a busy lifestyle and like to make large quantities for storage and convenience, but juice is best drunk freshly juiced. Not only does exposure to air and continuous storage encourage nutrient loss, but fresh juices are more palatable. Vegetable juice is one of the most perishable foods there is and ideally it would be best to drink all of your juice immediately. However, if you are careful, you can store your vegetable juice for up to 24 hours with only a moderate nutritional decline. You can do this by putting the vegetable juice in a glass jar with an airtight lid and filling it to the very top. There should be as little air in the jar as possible because it is the OXYGEN in air that will “oxidize” and damage the juice. Think of a cut apple turning brown when exposed to air. It’s a good idea to use an opaque container to block out all light which would also damage the juice and then store it in the refrigerator until about 30 minutes prior to drinking since ideally the juice should be consumed at room temperature. Drink a large glass of freshly made fruit and vegetable juice mix before breakfast. 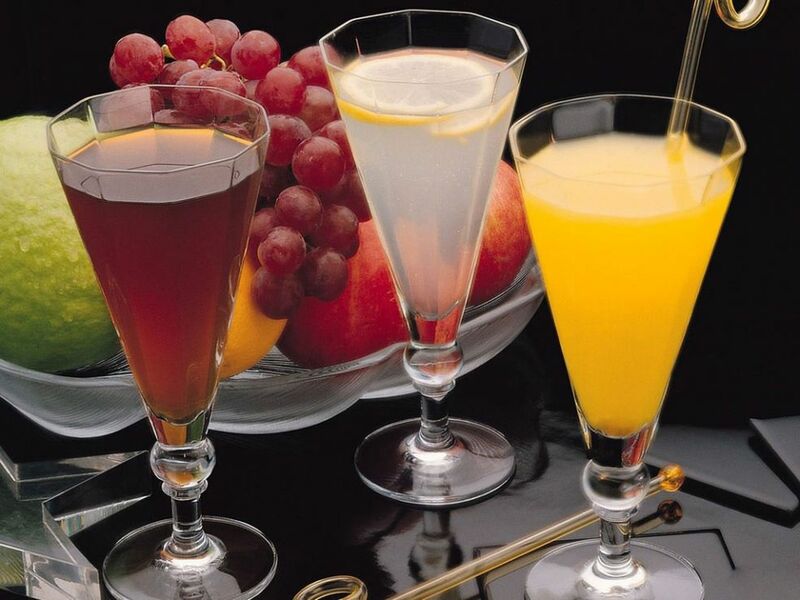 Then have a large glass of vegetable juice either at midday or before the evening meal, and again as a nightcap. There is nothing better than a drink of fresh-pressed juice before retiring. Keep this up for a couple of weeks and you’ll feel like a new person, healthy and energized. It is very important to not have the same vegetables every day. The chances are quite high that if you keep juicing the same vegetables for any significant length of time you will become allergic to them. Variety is king. A beverage to relieve indigestion and smooth bowel movements. It can also be used to relieve headaches, dizziness, heat stroke and sleepiness. An antidote to clear toxic heat evils by promoting bowel movements and urination. Archeological evidence suggests that people consumed tea leaves steeped in boiling water as many as 5,000 years ago. Botanical evidence indicates that India and China were among the first countries to cultivate tea. Today, tea is the most widely consumed beverage in the world, second only to water. Hundreds of millions of people drink tea around the world, and studies suggest that green tea (Camellia sinesis) in particular has many health benefits. There are three main varieties of tea: Green, Black, and Oolong. The difference between the teas is in their processing. Green tea is made from unfermented leaves and reportedly contains the highest concentration of powerful antioxidants called polyphenols. Antioxidants are substances that scavenge free radicals, damaging compounds in the body that alter cells, tamper with DNA (genetic material), and even cause cell death. Free radicals occur naturally in the body, but environmental toxins (including ultraviolet rays from the sun, radiation, cigarette smoke, and air pollution) also give rise to these damaging particles. Many scientists believe that free radicals contribute to the aging process as well as the development of a number of health problems, including cancer and heart disease. Antioxidants such as polyphenols in green tea can neutralize free radicals and may reduce or even help prevent some of the damage they cause. Green tea also contains alkaloids including caffeine, theobromine, and theophylline. These alkaloids provide green tea’s stimulant effects. L-theanine, an amino acid compound found in green tea, has been studied for its calming effects on the nervous system. Population-based clinical studies indicate that the antioxidant properties of green tea may help prevent atherosclerosis, particularly coronary artery disease. (Population-based studies means studies that follow large groups of people over time or studies that are comparing groups of people living in different cultures or with different dietary habits.) Researchers aren’t sure why green tea reduces the risk of heart disease by lowering cholesterol and triglyceride levels. Studies show that black tea has similar beneficial effects. In fact, researchers estimate that the rate of heart attack decreases by 11% with consumption of 3 cups of tea per day. In May 2006, however, the U.S. Food and Drug Administration (FDA) rejected a petition from tea makers to allow tea labels to claim that green tea reduces the risk of heart disease. The FDA concluded that there is no credible evidence to support qualified health claims for green tea or green tea extract reducing the risk of heart disease. Green tea may help reduce inflammation associated with Crohn’s disease and ulcerative colitis, the two types of IBD. If green tea proves to be helpful for preventing colon cancer, this would be an added benefit for those with IBD because they are at risk for colon cancer. Clinical studies suggest that green tea extract may boost metabolism and help burn fat. One study confirmed that the combination of green tea and caffeine improved weight loss and maintenance in overweight and moderately obese individuals. Some researchers speculate that substances in green tea known as polyphenols, specifically the catechins, are responsible for the herb’s fat-burning effect. Green tea may inhibit the actions of adenosine, a medication given in the hospital for an irregular (and usually unstable) heart rhythm. Green tea may increase the effectiveness of beta-lactam antibiotics by reducing bacterial resistance to treatment. Caffeine (including caffeine from green tea) has been shown to reduce the sedative effects of benzodiazepines (medications commonly used to treat anxiety, such as diazepam and lorazepam). Caffeine (including caffeine from green tea) may increase blood pressure in people taking propranolol and metoprolol (medications used to treat high blood pressure and heart disease). People who take warfarin, a blood thinning medication, should not drink green tea. Since green tea contains vitamin K, it can make warfarin ineffective. Meanwhile, you should not mix green tea and aspirin because they both prevent platelets from clotting. Using the two together may increase your risk of bleeding. The combination of green tea and chemotherapy medications, specifically doxorubicin and tamoxifen, increased the effectiveness of these medications in laboratory tests. However, these results have not yet been demonstrated in studies on people. On the other hand, there have been reports of both green and black tea extracts stimulating a gene in prostate cancer cells that may cause them to be less sensitive to chemotherapy drugs. Given this potential interaction, people should not drink black and green tea (as well as extracts of these teas) while receiving chemotherapy for prostate cancer in particular. The antipsychotic effects of the medication clozapine may be reduced if taken fewer than 40 minutes after drinking green tea. When taken together with ephedrine, green tea may cause agitation, tremors, insomnia, and weight loss. Green tea has been shown to reduce blood levels of lithium (a medication used to treat manic/depression). Green tea may cause a severe increase in blood pressure (called a “hypertensive crisis”) when taken together with MAOIs, which are used to treat depression. Examples of MAOIs include phenelzine and tranylcypromine. Oral contraceptives can prolong the amount of time caffeine stays in the body and may increase its stimulating effects. A combination of caffeine (including caffeine from green tea) and phenylpropanolamine (an ingredient used in many over-the-counter and prescription cough and cold medications and weight loss products) can cause mania and a severe increase in blood pressure. The FDA issued a public health advisory in November 2000 to warn people of the risk of bleeding in the brain from use of this medication and has strongly urged all manufacturers of this drug to remove it from the market. Acetylcholine is important for memory and learning and is a neurotransmitter used throughout the body. Acetylcholine may be extremely important for long term memory. It determines your brain speed. If you have too little, your brain is going to slow down. The most extreme case of this is Alzheimer’s. Acetylcholine is like a lubricant for your brain and body. Acetylcholine along with dopamine is the neurotransmitters that turn your brain on. They allow it to work hard and fast. A lack of either one can lead to memory and attention problems. People with acetylcholine dominate natures are very sensory oriented. They are creative, innovative, and open to new ideas. Generally they are socially oriented. Acetylcholine natures enjoy activities involving words, ideas, and communication. Counselors, instructors, artists, writers, and actors are likely to have acetylcholine natures. Acetylcholine deficiency can display as Alzheimer’s, Multiple Sclerosis, dementia, dry mouth, dry skin, reading/writing disorders, speech problems, slow movement, mood swings, learning disorders, verbal memory problems, memory lapses, attention problems, difficulty concentrating, carelessness, and decreased creativity. If you crave fatty foods or have perfectionist tendencies you may also benefit from more acetylcholine. These can be tricky because the best foods for acetylcholine are fatty. Avoid fatty red meats if you can. Truthfully, the best way to increase your acetylcholine is through supplements. There are some fantastic supplements available. Take these 30 minutes before eating. This is the best absorbed and most impressive form of choline to take. It is more expensive than phosphatidylcholine, but you absorb so much more of it and it is already in the form that exists in your cell membranes so it is well worth it. Take 500 mg to 2,000 mg daily broken up into 2 doses; one before breakfast and one before lunch. 500 mg to 2,000 mg daily in three doses. Take 500 mg to 2,000 mg daily broken up into three doses. Take 1,000 mg to 3,000 mg daily divided into three doses. Combine it with R-Lipoic Acid. for powerful synergistic effects. Take 100 mg to 300 mg daily divided into three doses. This is a mineral that preserves acetylcholine. Take 1 mg to 5 mg daily.